Dorian is highly experienced in complex public law cases under the children and adoption legislation. Dorian thrives and excels were there are allegations of the death of a child (parent or carer), very serious non-accidental physical injury, sexual abuse and trafficking of children. Dorian has particularly concentrated his work in cases involving complex medical issues including FII. Dorian is also very well renowned for cases where there are jurisdictional orders involving the inherent jurisdiction and wardship and where there are international cross-border jurisdictional issues. Dorian has broad and extensive expertise in all aspects of private law children disputes. In particular he is reputed for his representation of children in such disputes. Dorian is particularly sought after for his advice and representation in cases involving international relocation and abduction of children. Dorian offers the ability and duality to advise and represent parties on both the welfare and financial aspects of children cases. Dorian is a specialist in Financial Remedy matters - his skills encompass driven and guided practical advice to problem solving and detailed preparation and cross-examination in all aspects of financial work. 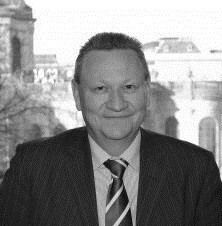 Dorian has experience in conducting claims where there are assets of substance [up to £40 million], trust assets, business interests, intervening parties, a foreign or jurisdictional element, estates and also where there are aspects of conduct or asset dissipation raised before or within the proceedings. Dorian also conducts cases involving inheritance provision, TOLATA and Schedule 1 Children Act Claims. Dorian undertakes all aspects of judicial review work particularly in the field of children, families, and decisions by Local Authorities particularly regarding funding and involving policy considerations. In particular Dorian has regularly challenged and advised Local Authorities in relation to decisions pertaining to special guardianship/residence allowances and funding decisions. Dorian's experience and expertise extends to all forms of tribunal challenge including disciplinary decisions made by the police and other professional bodies. Dorian has considerable expertise in cases involving the Court of Protection. Dorian has acted in both welfare matters as well as all aspects of a patient’s property and affairs. Dorian recently lectured on aspects of “Forced Marriage” to the Court of Protection users group. Dorian's combined experience, knowledge and insight in welfare and finance matters in other fields makes him a considerable asset when it comes to issues surrounding vulnerable patients. Dorian has long acted for abuse complainants across the country. He covers all strategies of sexual abuse, neglect and death in cases including religious orders, in children’s homes and schools, in foster care, teachers, families, in sporting and voluntary and media organisations. He has acted for vulnerable adults and children abused in long term care and for learning disabled children and young people, as well as in claims against local authorities for failing to remove children at risk. An experienced advocate with a strong childcare practice, who also represents his clients in financial remedy matters. He frequently acts in matters concerning serious physical and sexual abuse. "A very well prepared and skilful advocate." Strengths: "He is an excellent all-rounder, who is calm under pressure and has a great manner in court." "An experienced and ferocious litigator." Dorian Day is qualified to accept instructions directly from members of the public and professional clients under the Direct Public Access scheme.